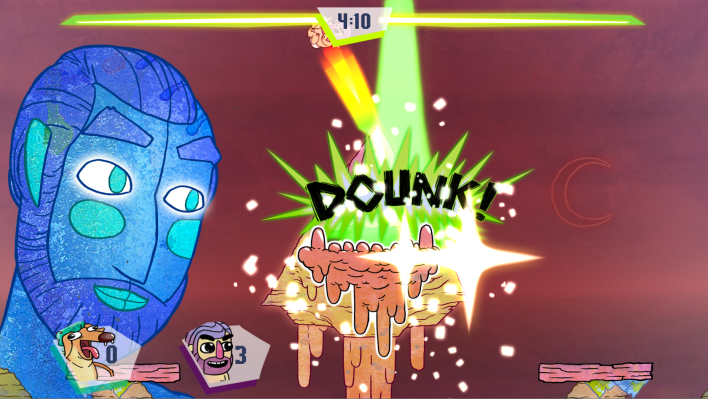 Rochester-based game developer BreadMachine today officially announced its new game "Slam Land" -- what they're calling a "couch-competitive slam dunking brawler," where you must slam-dunk the other player in an attempt to impress a seemingly gentle-faced, stoic, blue giant. The game features a completely illustrated style, with bright colors overlayed with watercolor-like textures. Instead of taking place in a basketball court, the levels' settings range from forest treetops, to surreal, monster-like landscapes where the terrain has an almost fleshy appearance. Each level displays different platforms and obstacles for players to try to grab, dodge, and slam-dunk your opponent. 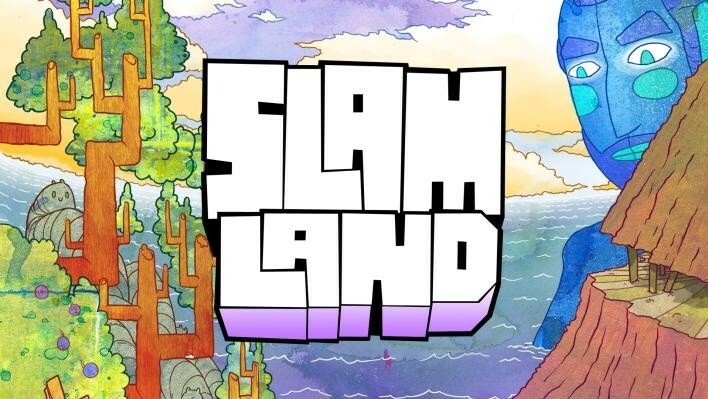 "Slam Land" is due out by the end of the summer, and BreadMachine plans to release it on Steam, Playstation 4, and on the Nintendo Switch. The game will be available to play publicly Saturday, January 27, at the ROC Game Dev Showcase Party happening at the Bug Jar (check out our write-up on the event here). For more information on BreadMachine and the development of "Slam Land," follow them on Twitter.